It's in the 'habitable zone,' just like Earth. NASA explains that the habitable zone is “the range of distance from a star where liquid water might pool on the surface of an orbiting planet.” The habitable zone is also known as the ‘Goldilocks Zone.’ Essentially, it’s not too hot or too cold for life – it’s just right. Take Earth, for example. The warm conditions on our home planet are enough to sustain life and hold liquid water, but Mars is too cold to do the same. Researchers analyzed seven years of luminosity data from the planet’s star and tracked the planet’s orbit in order to find out what the temperature and surface pressure might be. Their findings secure the notion that it could be capable of hosting life. But there are some fallbacks. First, scientists are unsure of the atmospheric conditions on the exoplanet. They’re proposing that it could be similar to an earlier Venus, where temperatures were quick to evaporate all known traces of liquid water. The formation of water vapor would have perpetuated a runaway greenhouse effect, increasing temperatures even further. The team responsible for researching signs of life on Wolf 1061c now believe that the same thing could happen to it as did Venus, since the proximity to its star is close enough. Second, we’re not even sure if there’s life on Wolf 1061c. 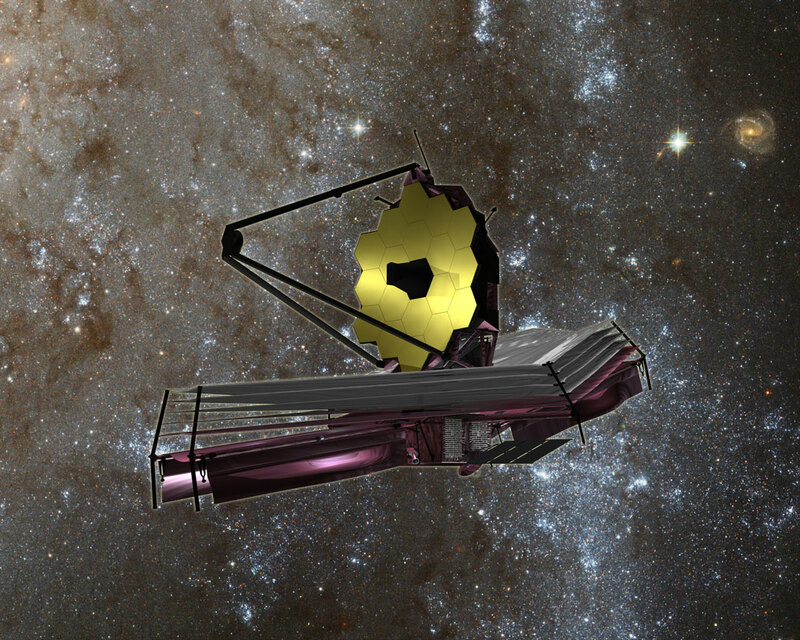 We’d need detailed measurements, which could be retrieved from NASA’s James Webb telescope, but that telescope won’t be unveiled until next year. Its advanced optics could show us more about the exoplanet’s atmospheric conditions, providing room for more in-depth research on whether it could sustain life (and water). Lastly, 14 light years from our solar system might sound close, but one single light year is equal to nine trillion kilometers (six trillion miles). It took us a decade to travel to Pluto, after all. Scientists would have to come up with a new way of getting technology (or even us) out there. Luckily, progress has been made in this field. Ion propulsion could become the next space travel method of the future, where an ion thruster could propel a spacecraft up to 144840 km/h (90,000 mph). There’s also the Lightsail, a device the size of a breadbox able to expand to 32 m (105 ft) in space. It’s even completely powered by the Sun. These endeavors in space travel, along with the James Webb and current research, have made it all the more interesting for us to see what will happen next with Wolf 1061c. The study has been slated for publication in an upcoming edition of The Astrophysical Journal.